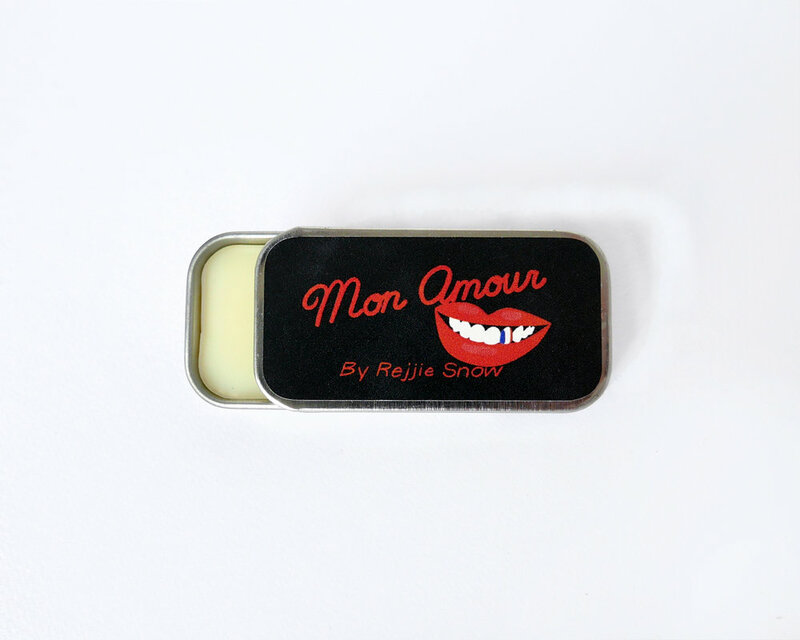 'Mon Amour' by Rejjie Snow, in collaboration with Neighbourhood Botanicals. "Mon amour, approche toi de moi, je suis ton secret, dans mon hôtel glacé..."
Want a plush pout like Rejjie? Features rich and conditioning shea and cocoa butter, softening sweet almond oil, glycerin for moisture retention and staying power, and a tiny bit of clay to cut the shine. From ashy to classy, get creamy conditioned lips with Mon Amour lip balm. The perfect shape for your pocket too! ✔ All natural, no synthetics. ✔ Natural, organic, vegan flavours of vanilla, honey and cocoa. ✔ Made in the U.K. Ships from UK and takes 3 days to UK, and within 5-14 days to Europe.